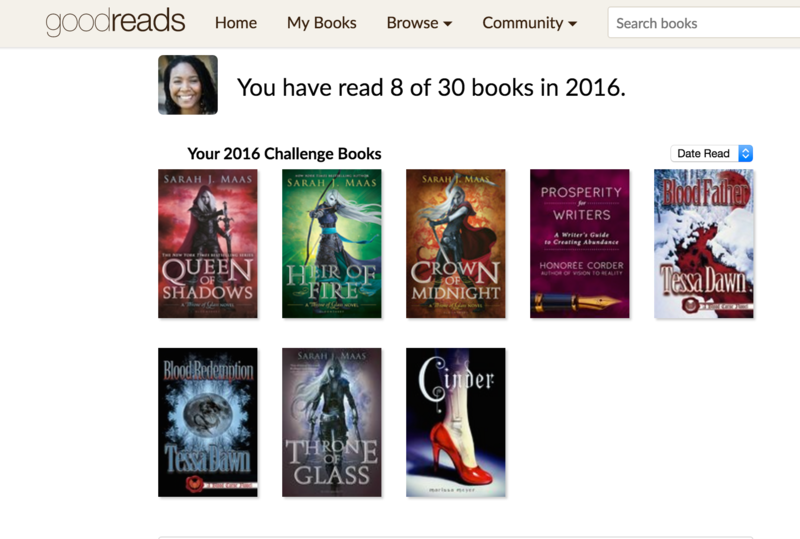 Each year, I participate in the GoodReads Yearly Challenge. My goal had been to read 25 books. 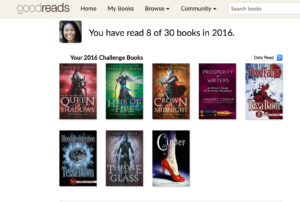 This year I “upped” my challenge and am going for 30 books. I’m one book behind this month but I’ve been keeping up pretty well. Of course, I’ve been mostly reading Dark Fantasy. I just enjoy those protagonist who fall in the “gray” area when it comes to moral issues. One of the series that I’ve absolutely fallen in love with is the “Throne of Glass” series. I love female assassins and warriors. This series has it all! Here’s a link to Book 1, if you want to get started.